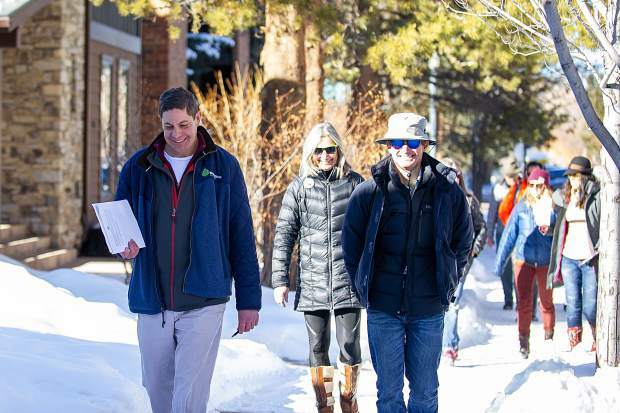 The City of Aspen's engineering senior project manager Pete Rice, left, takes City Council members, including Bert Myrin, right, and Ann Mullins, center, around Aspen to scout locations of concern for pedestrian sidewalks on Tuesday morning before the council meeting that night. 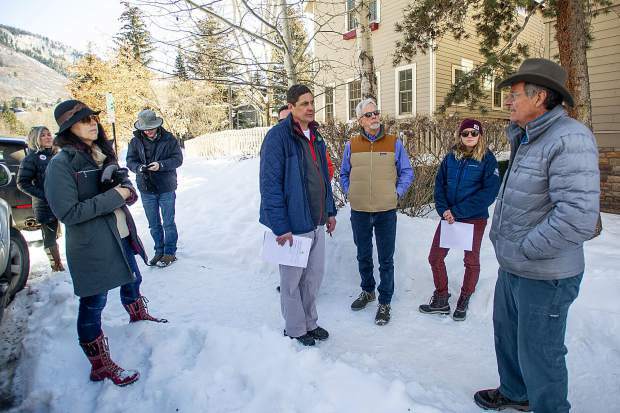 The City of Aspen's engineering senior project manager Pete Rice, center, takes City Council members, including Ward Hauenstein, right, around Aspen to scout locations of concern for pedestrian sidewalks on Tuesday morning before the council meeting that night. Pictured here on East Hopkins Avenue. 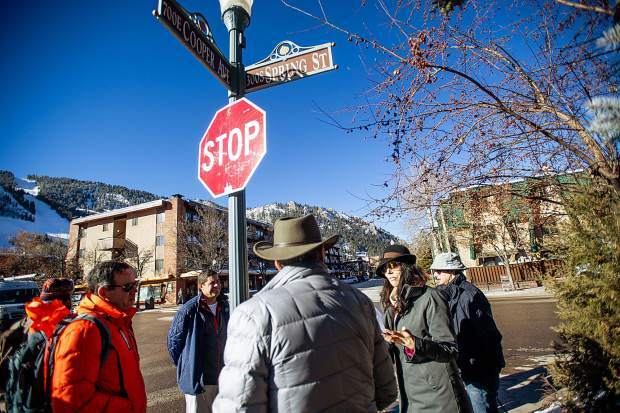 Aspen City Engineer Trish Aragon, center, takes City Council members around Aspen to scout locations of concern for pedestrian sidewalks on Tuesday morning before the council meeting that night. Pictured here on East Hopkins Avenue. Aspen City Engineer Trish Aragon, right, explains the safety issues at Cooper Ave. and Spring Street to City Council members along with other areas around Aspen to scout locations of concern for pedestrian sidewalks on Tuesday morning before the council meeting that night. 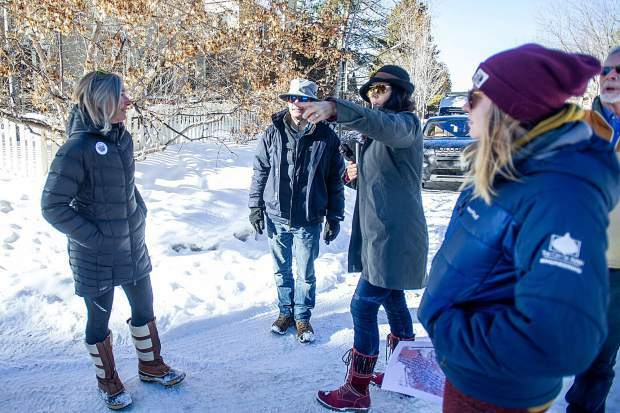 Aspen City Council on Tuesday agreed to commit more than $1 million to improve nearly a dozen critical pedestrian connections throughout town in the next few years. Council was presented with priority projects identified by the city’s Engineering Department that in total are estimated to cost around $1.4 million. Council members surveyed the problem areas Tuesday morning as part of a field trip prior to their work session in the evening. 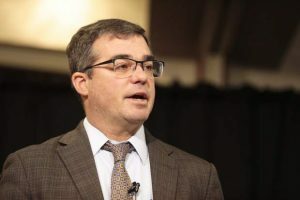 The project that will get the first priority is installing a sidewalk to connect the Yellow Brick Schoolhouse to the library on the south side of Bleeker Street. 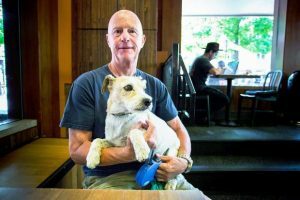 It will allow a direct path for schoolteachers and their students to travel along a protected walking path instead of being forced into the street, as is currently the case. 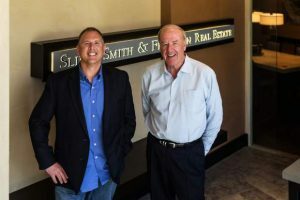 Residents and parents have been asking for a safe connection for over a year, and the plan is to give that to them before the school year begins in the fall. “People will use it, not just us,” said area resident and parent Kimbo Brown-Schirato. Pete Rice, the city’s engineering senior project manager, said he thinks construction can begin in August. The project is estimated to cost $135,000. When city officials updated the bicycle and pedestrian master plan in 2014 and 2015, they assembled an existing conditions map and surveyed the public, which resulted in over 100 potential improvement projects within the community. 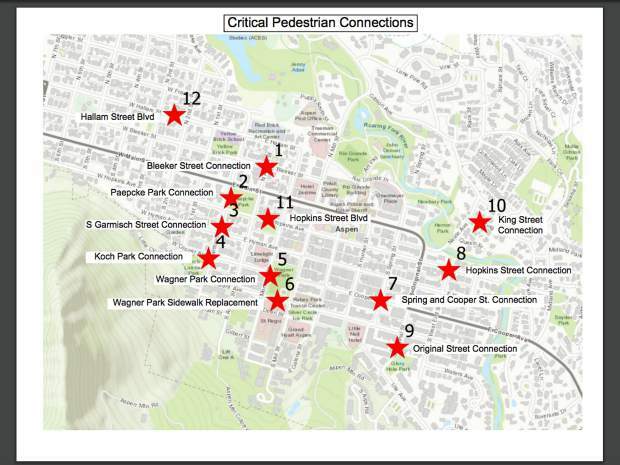 A formalized critical pedestrian connection map has been determined, and the list of 88 missing links factors in pedestrian safety, the type of user, including children, the amount of use and community input. During the winter, pedestrians are typically pushed into the roadway with vehicles creating additional safety concerns, according to Rice. Other areas that the Engineering Department will zero in on in the future include improving the pedestrian crossings and sightlines at the intersection in front of City Market at Spring Street and Cooper Avenue, as well as experimenting with making the entire length of Hallam Street a pedestrian and bike boulevard, similar to the one that is designated on Hopkins Street in the West End neighborhood leading into town.